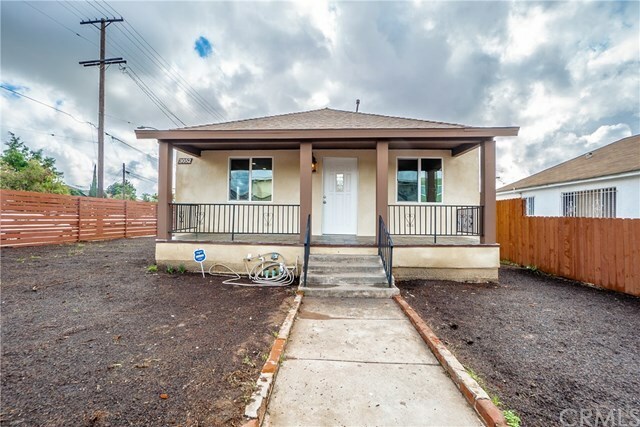 Beautiful Single Family Residence in the Boyle Heights area. Property features 3 bedrooms / 2 bathrooms, laundry closet, open floor plan living room, dinning area and kitchen. Everything on this property has been upgraded, new plumbing, new electrical, new roof, windows, stucco, cabinets, laminate wood flooring and tile, recessed lighting with ceiling fan in living room. Large yards, with parking for 5+ cars, fully gated and in move-in condition. Directions: East of Evergreen Ave, North of Cesar Chavez Ave, on the corner of Folsom St and Sloat St.